As it continues to heat up in Raleigh, many are hitting the pools and heading to the coast to enjoy the bright rays from the sun! However, many don’t consider the damage that the the sun’s harmful ultraviolet, or UV rays, can cause. With over 5 million cases diagnosed in the United States each year, skin cancer is the most common cancer in the United States. Fortunately, skin cancer is also one of the most preventable forms of cancer. About 90 percent of nonmelanoma skin cancers and 85 percent of melanoma cases are associated with exposure to ultraviolet radiation from the sun. Even one blistering sunburn during childhood or adolescence can nearly double a person’s chance of developing melanoma. Even people who do not burn are at risk for skin cancer. It doesn’t matter if you have light or dark skin, skin cancer can affect everyone. On cloudy days – the UV ray index can be very high. 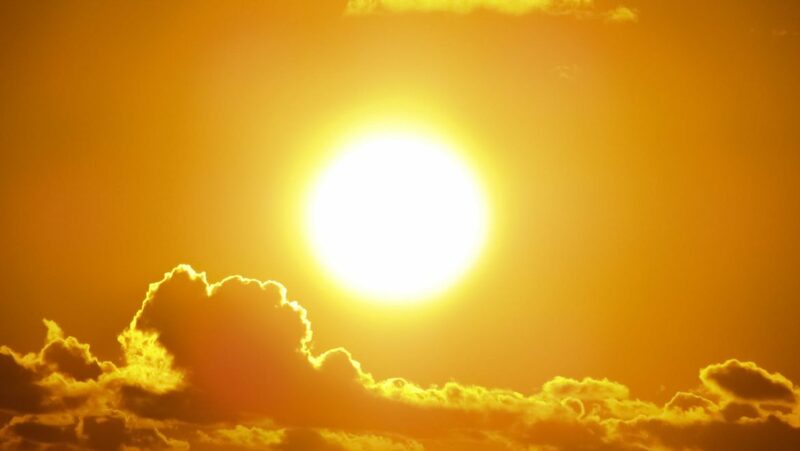 In fact, up to 80 percent of the sun’s UV rays pass through clouds. In winter months, snow can reflect up to 80 percent of UV rays, increasing exposure. Curious to what it’s like in Raleigh now? Check out the UV Ray index now. The point is, take UV rays seriously. Even when it doesn’t seem likely, damage can be done. It is important to check your skin often for changes. Skin cancer warning signs include changes in size, shape or color of a mole or other skin lesion, the appearance of a new growth on the skin, or a sore that doesn’t heal. If you notice any spots on your skin that are different from the others, or anything changing, itching or bleeding, the American Academy of Dermatology recommends that you make an appointment with a board-certified dermatologist. Before heading to the pool or beach, stop in to your local Raleigh pharmacy for sunscreen, sunglasses, hats and more! If you have any questions regarding skin cancer, speak with your local board-certified dermatologist.